From the very first day I met with Rachel and Alex to talk about their wedding, I just loved their sense of humor and upbeat personalities. 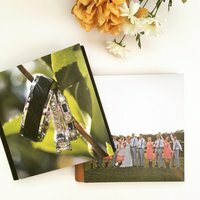 As we chatted about everything from their vision for their wedding day to their love of animals, I knew that these would be fun to photograph! Their fall engagement session certainly didn’t disappoint. And how perfect are their outfits?! Rachel and Alex are getting married this fall, and I could not be more excited for their wedding at Pine Island!